Do you have this inner desire to highlight your best features? 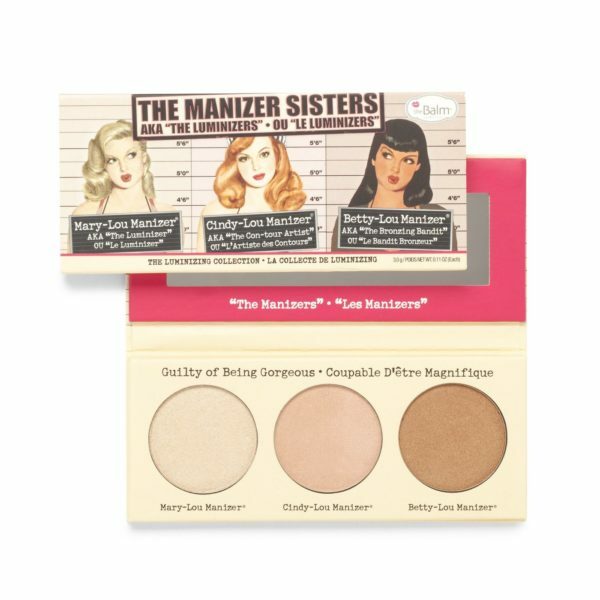 The manizer sister may be the answer to your craving. 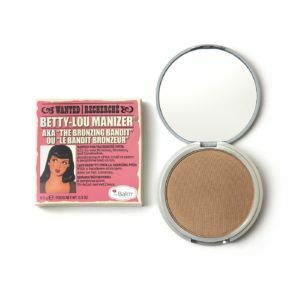 The trio has shimmers, highlighters and shadows. 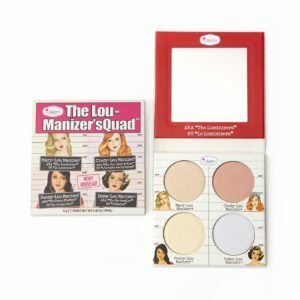 The flattering shades will compel you to get your hands on this palette right away. If you are looking for the model look, then you should opt for golden-bronze shade.If you are looking for freshness, then you should go for the rosy shades. 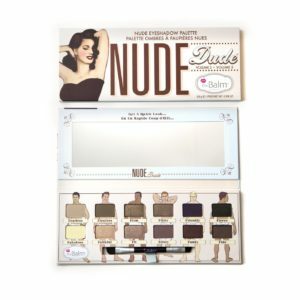 This palette is surely a dream come true for makeup fans. INGREDIENTS (MARY-LOU & BETTY-LOU): MICA, ISOEICOSANE, POLYETHYLENE, BORON NITRIDE, POLYISOBUTENE, PTFE, SILICA, SYNTHETIC WAX, DIMETHICONE. 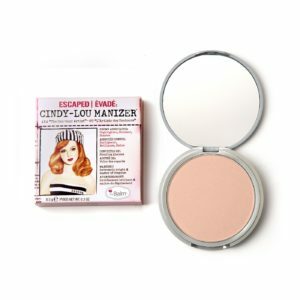 MAY CONTAIN / PEUT CONTENIR [+/- TITANIUM DIOXIDE (CI 77891), IRON OXIDE (CI 77491), CARMINE (CI 75470)] INGREDIENTS (CINDY-LOU): MICA, POLYMETHYLSILSESQUIOXANE, SILICA, ISOEICOSANE, POLYETHYLENE, BORON NITRIDE, POLYISOBUTENE, PTFE, SYNTHETIC WAX, DIMETHICONE, TITANIUM DIOXIDE (CI 77891), IRON OXIDES (CI 77491, CI 77492, CI 77499), TIN OXIDE, CARMINE (CI 75470).